Washington D.C. had an explosion of growth following World War II, that necessitated five times the average investment in building and loans than the rest of the country. It was in this environment that the Perpetual Building Association became the Washington, D.C. area’s largest savings and loan. The role of Perpetual in both D.C. and suburban mortgage lending, dwarfed that of DC’s largest banks let alone the two smaller banks that existed. Perpetual’s general real estate loan activity was restricted to a radius within 50 miles of its branches. Furthermore, Perpetual’s Federal Housing Authority (FHA) loans were subject to a 100-mile radius. Because of the economic trend favoring the Maryland suburbs, it is predictable that Perpetual would have issued more loans in Maryland than D.C. It is particularly likely that a significant portion of the Montgomery County mortgages were focused on the Silver Spring area, since one of Perpetual’s two Montgomery County branches was located in Silver Spring, an area of intensive postwar growth. Until 1980, the Silver Spring location was one of a four suburban branch offices. With the significant influence that Perpetual built up in the region, the association began to also become a dominant force in changing social policy by setting an example. As an example of this, Perpetual was the first savings and loan to establish policy to make color-blind loans, meaning they would provide loans to African-Americans to purchase homes in any neighborhood, including all or partially-white neighborhoods in the D.C. area, whereas other associations feared to do so. As such an institution, they became a dominant force in D.C. suburban and home finance, particularly in the suburbs where their role became greater than banks. In addition, Perpetual was the first S&L in the D.C. area to appoint an African-American to its Board of Directors, William S. Harps. Even into the 1960s, Perpetual was the lead S&L urging others to take a more active role in solving "urban problems," and which they accomplished under Perpetual's leadership. The Silver Spring Perpetual was at the center of much of this activity. The structure was built to not only handle the amount of business in the growing suburban communities, but also to represent the economic status of it in order to attract customers. As a branch office, it represented a new building type for Montgomery County. 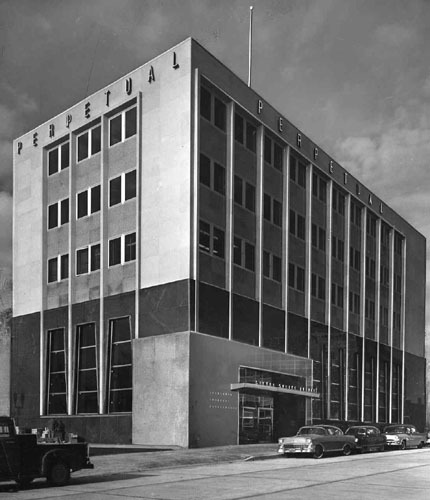 But by establishing a recognizable design for its bank buildings with the assistance of the Bank Building & Equipment Corporation of America, Perpetual created a recognizable, branded design beyond logos and signage. By 1959, despite a $10 million increase in assets, Perpetual dropped from being the fourth to the fifth largest savings and loan in the country. Even by 1960, Perpetual was one of only about 12% of savings and loans that had branch offices. Perpetual remained the largest savings and loan in the east until 1963 when it was overtaken by Detroit savings and loan. Perpetual wanted to take on the same pioneering role in banking architecture that they had in regional S&L finance and social change. Enlisting the Bank Building & Equipment Corporation, the era’s most recognizable name for designing unique structures for the financial industry, collaborated with Washington, D.C. architect Robert O. Scholz who assisted in designing Perpetual’s signature buildings. The Robert O. Scholz Company also served as contractor for the project. Though it was in the planning stages since 1956, the Silver Spring branch office opened to the public in January 1958 with the branded style of the institution but with a few unique features for this location. From it’s opening, the $1.5 million structure served as a visual anchor in the community at the corner of Georgia Avenue and Cameron Street. 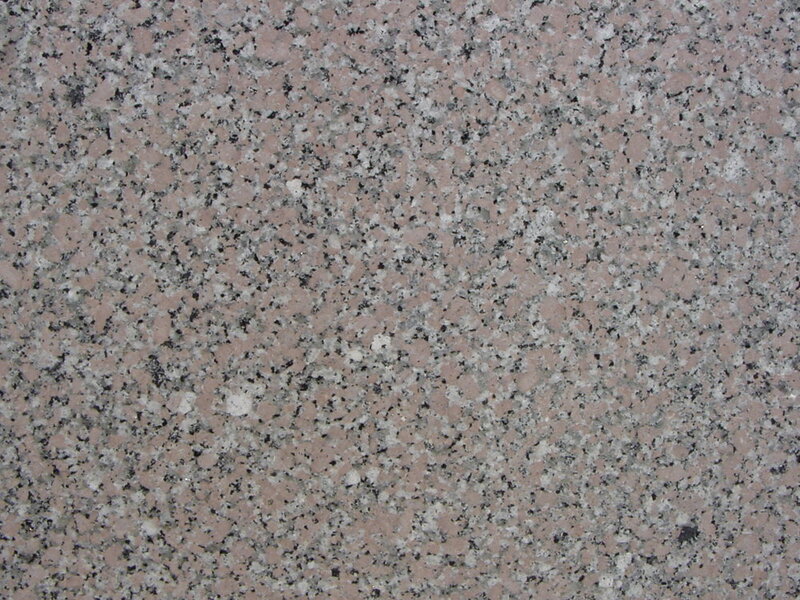 Constructed of steel and granite, Perpetual is one of the monumental structures of the city. In detail, the building is Geometric Modern style with influence of Classical, Art Deco, and Egyptian Revival styles. 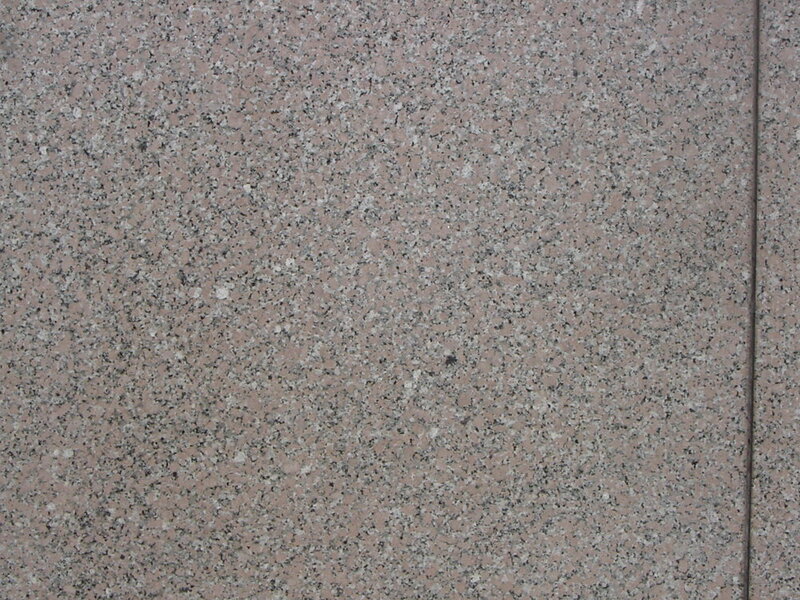 The exterior is sheathed by highly polished carnelian granite (formed 2 billion years ago), diamond gray and pink granite, Indiana limestone, roseate and Tennessee gray marble, and detailed by brushed aluminum, and green-tinted, trapezoidal-shaped, windows, including one of the earliest uses of the "Twindow." The success of the Perpetual Building Association design is demonstrated by the company’s repeated use of the common design between 1953 and 1965. Using the same guiding architectural principles, designers at the Bank Building & Equipment Corporation utilized new material technology to streamline the design, perfecting the planning and construction process for Perpetual. Perpetual regularly utilized its signature buildings in its advertisements, including one that advertised the opening of the Silver Spring facility with several images of the exterior and interior. 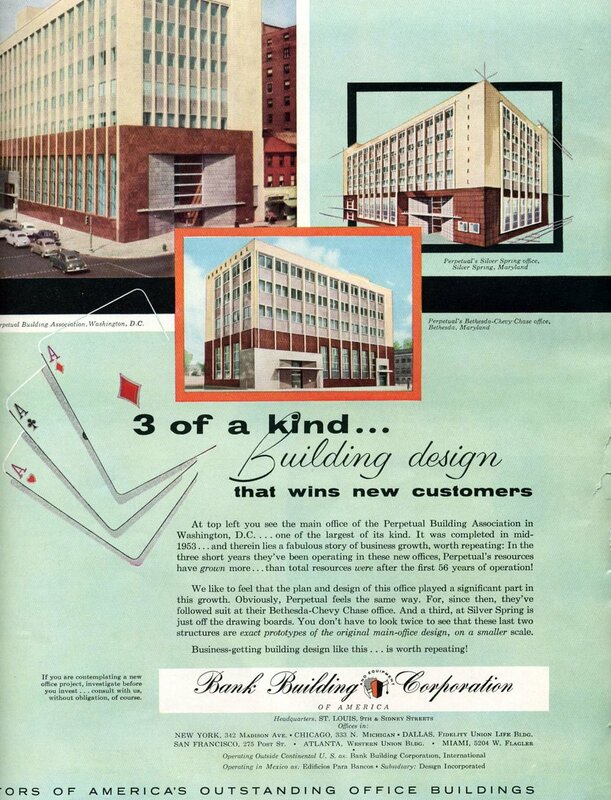 In addition, the Bank Building & Equipment Corporation also utilized Perpetual Building Association structures in advertising in several national publications. 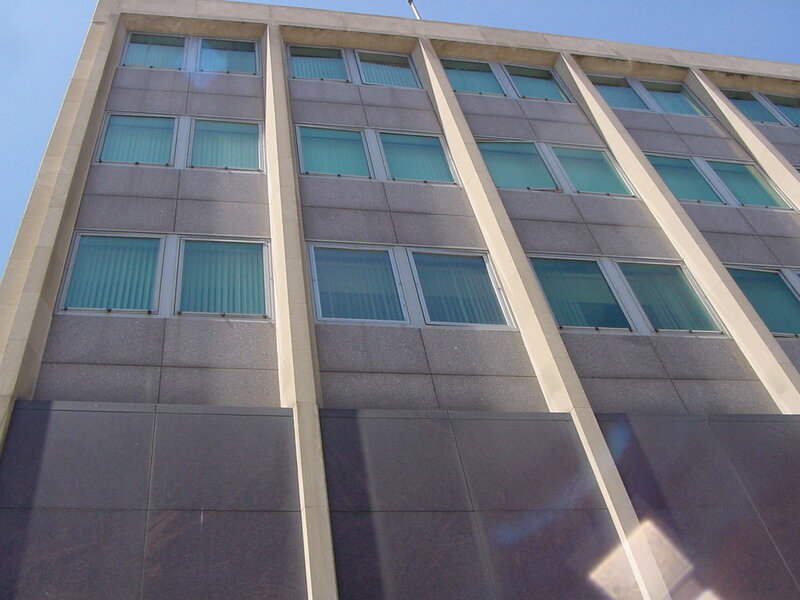 By 1965, Perpetual had six branches offices, in addition to the main building at 11th and E Streets, NW. The six branches included somewhat scaled down replicas of the main office building in Bethesda, Silver Spring, District Heights, and in the Prince George's Plaza area. In addition, they had established branch offices in midtown Washington and Anacostia, both of which had been completely rebuilt or renovated. At its height, Perpetual came to have nine branches in all, over half of which employed the Perpetual brand architecture, since later branches had been acquired rather than designed and built. The Silver Spring Perpetual Building Association was among only two built (and still existing) buildings and three prospective (never built) office buildings celebrated by an aerial photograph of downtown Silver Spring prominently located in a 1964 municipal annual report. The photograph suggests that the Perpetual and Guardian buildings helped attract commercial office construction, an important goal of the 1957 Silver Spring Business District master plan, thus keeping downtown vibrant. The Bethesda Perpetual Building Association (1956) like its Silver Spring sibling, was a pioneering effort that contributed to a subsequent proliferation of office construction. On a side note, downtown Bethesda had very few commercial buildings of any size until Perpetual was constructed. However, the Bethesda Perpetual was just over thirty years old by the time that it was demolished. The Modern Movement in Maryland, University of Maryland, says, "As a pristine and quite superior example of the statewide and national output of the BB&E Corporation…PAB [Perpetual Building Association] should be preserved…one of the best examples of commercial modernism from the 1950s in the Mid-Atlantic region…the best of its kind in the Maryland suburbs…PAB should be designated and protected." In their review and discussion of the significance of Perpetual, the Montgomery County Historic Preservation Commission determined that a structure doesn’t have to be one of any number of so-called “branded” buildings to have local significance. Whether it is one of 12,000 McDonald’s restaurants or in this case, one of the original four Perpetual Building Association structures that still remains extant. Each is judged on a case-by-case basis in context, not one against the other to judge which is more important for preservation. Presently no Silver Spring office building has been landmarked, and considerable testimony has been introduced that the Perpetual Building Association is an excellent candidate for designation. The building retains a high level of original integrity. The Perpetual Building Association warrants protection from demolition because the 1950’s structure contributes an important type of architecture, sense of place, and history to Silver Spring. The Perpetual institution and its descendants through mergers and acquisitions now including SunTrust Bank, have occupied the building continuously for over 50 years. Historic photo credit: "Perpetual Building Association 1961, Evening Star, Washingtonian Division, D.C. Public Library, Washington, D.C."